Demetri Martin is a standup comedian, artist, musician, writer and actor. He has a lengthy resume starting with a writing job for Late Night with Conan O’Brien, which lead into a correspondent position on The Daily Show with Jon Stewart. Martin’s career rapidly took off making various TV appearances, producing two comedy albums, writing, producing and acting in movies, as well as publishing two books. 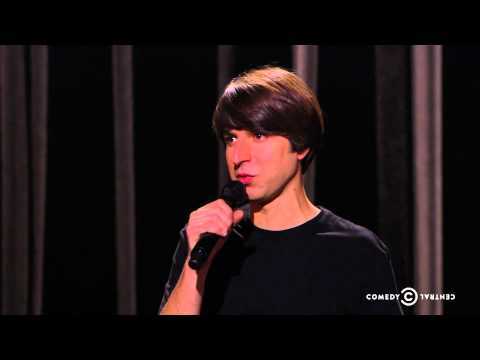 In 2006, he recorded his first standup album and DVD, These Are Jokes, and continued on to tape his second standup special, Demetri Martin: Person, for Comedy Central the following year. From there, Martin got his own show on Comedy Central, Important Things with Demetri Martin, which combined brief standup segments with sketch comedy. He starred in the comedy-drama film Taking Woodstock, directed by Ang Lee, which premiered at the 2009 Cannes Film Festival. Other film credits include Contagion, Will and Moon People. Demetri took the honor of winning a Perrier Comedy Award at the Edinburgh Festival Fringe for his writing and appearance in the one-man TV movie If I. You can find him at demetrimartin.com, @DemetriMartin, or walking around somewhere.